We cover the whole area with a range of roofing services. Click below to read what our customers have said about our work. Click below to see some pictures of our latest work in the area. Want to send us an email enquiry? Click the button below. From replacing a single tile through to a major re-roof project, when it comes to roofing we're the professional choice. Wherever you are in the West Brom area, we combine a winning combination of a full range of top class services and a sound reputation for customer service built up over several years. In an industry where roofers come and go, we're a bit different. We're secure in our reputation so don't need to pressure sell our services, instead preferring to let you decide at your own pace so you're confident you've made the right decision. We'll happily visit your home and advise you honestly on what is required in order to give you the roof you want. Whats more, we'll provide you with a free no-obligation quotation so you can make an informed decision on whether to choose us. We realise how disruptive having roofing work done can be, so we make every effort to get the job done as quickly as possible without rushing or skimping on the quality that our reputation is founded on. As professional roofers, we'll keep you informed every step of the way, and we're confident you'll soon be recommending us to others just as many of our customers do. We don't just talk about customer service, we demonstrate it in all our dealings with you. We fully back up our complete satisfaction pledge with a written guarantee on all roofing and roof-related jobs. We appreciate how daunting it can be to find a local roofer you can trust and have faith that they'll do a job that will last years. Not only that, but we're confident that the powerful reasons above will prove we're the roofers to trust. 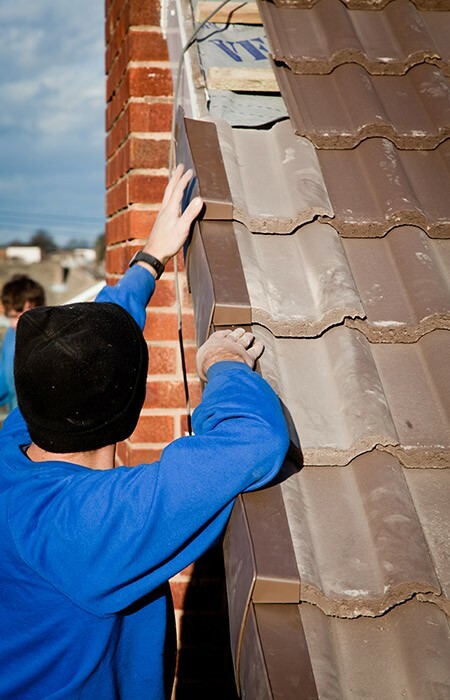 Find out in more detail why we're your obvious choice of roofer in the West Bromwich area. Call to discuss your needs with the area's experts on 0121 737 2304.